This guide provides extra information for written task (WA). Sign up and create your own free account--no school accounts! Great Resource! NCSU Libraries. MLA 8th, APA 6, Chicago. Do NOT use for CSE. Be careful with capitalization! Comprehensive MLA Guide in Chinese and English. Why Should I Write an Annotated Bibliography? An annotated bibliography is a list of citations for various books, articles, and other sources on a topic. The annotated bibliography looks like a Works Cited page but includes an annotation after each source cited. An annotation is a short summary and/or critical evaluation of a source. Annotated bibliographies can be part of a larger research project, or can be a stand-alone report in itself. A summary annotation describes the source by answering the following questions: who wrote the document, what the document discusses, when and where was the document written, why was the document produced, and how was it provided to the public. The focus is on description. An evaluative annotation includes a summary as listed above but also critically assesses the work for accuracy, relevance, and quality. Evaluative annotations can help you learn about your topic, develop a thesis statement, decide if a specific source will be useful for your assignment, and determine if there is enough valid information available to complete your project. The focus is on description and evaluation. Your teacher may assign an annotated bibliography at an early part of your research process. This will help! Cite the source using MLA style. Describe the main ideas, arguments, themes, theses, or methodology, and identify the intended audience. Explain the author’s expertise, point of view, and any bias he/she may have. Compare to other sources on the same topic that you have also cited to show similarities and differences. Explain why each source is useful for your research topic and how it relates to your topic. Evaluate the strengths and weaknesses of each source. Identify the observations or conclusions of the author. Remember: Annotations are original descriptions that you create after reading the document. When researching, you may find journal articles that provide a short summary at the beginning of the text. This article abstract is similar to a summary annotation. You may consult the abstract when creating your evaluative annotation, but never simply copy it as that would be considered plagiarism. Each annotation should be one paragraph, between three to six sentences long (about 150- 200 words). Start with the same format as a regular Works Cited list. All lines should be double-spaced. Do not add an extra line between the citations. If your list of citations is especially long, you can organize it by topic. Try to be objective, and give explanations if you state any opinions. London, Herbert. “Five Myths of the Television Age.” Television Quarterly, vol. 10, no. 1, Mar. 1982, pp. 81-69. Herbert London, the Dean of Journalism at New York University and author of several books and articles, explains how television contradicts five commonly believed ideas. He uses specific examples of events seen on television, such as the assassination of John Kennedy, to illustrate his points. His examples have been selected to contradict such truisms as: “seeing is believing”; “a picture is worth a thousand words”; and “satisfaction is its own reward.” London uses logical arguments to support his ideas which are his personal opinion. He does not refer to any previous works on the topic. London’s style and vocabulary would make the article of interest to any reader. The article clearly illustrates London’s points, but does not explore their implications leaving the reader with many unanswered questions. "How to Write Annotated Bibliographies." Memorial University Libraries, www.library.mun.ca/researchtools/guides/writing/annotated_bibl/. Accessed 29 June 2016. To learn about your topic: Writing an annotated bibliography is excellent preparation for a research project. Just collecting sources for a bibliography is useful, but when you have to write annotations for each source, you're forced to read each source more carefully. You begin to read more critically instead of just collecting information. At the professional level, annotated bibliographies allow you to see what has been done in the literature and where your own research or scholarship can fit. To help you formulate a thesis: Every good research paper is an argument. The purpose of research is to state and support a thesis. So, a very important part of research is developing a thesis that is debatable, interesting, and current. Writing an annotated bibliography can help you gain a good perspective on what is being said about your topic. By reading and responding to a variety of sources on a topic, you'll start to see what the issues are, what people are arguing about, and you'll then be able to develop your own point of view. To help other researchers: Extensive and scholarly annotated bibliographies are sometimes published. They provide a comprehensive overview of everything important that has been and is being said about that topic. You may not ever get your annotated bibliography published, but as a researcher, you might want to look for one that has been published about your topic. Advice from the IB explaining how to accurately reference and cite your sources. This guide is used/adapted with the permission of Krystyna Nowak at Columbia College, Vancouver and Seneca College Libraries. For information please contact lcc@senecacollege.ca. Note: When copying this guide, please retain this box. Memes? Tweets? Instagram posts? Comic books? Food labels? Name of Company That Owns the Product advertisement. Name of Magazine, Journal or Newspaper Where Advertisement Was Accessed, Date, p. Page number of advertisement. Louis Vuitton advertisement. Vogue, Dec. 2015, p. 5. Author's Last Name, First Name. Title of Book: Subtitle if Any. Edition if given and is not first edition, Publisher Name often shortened, Year of publication. Kirsh, Steven J. Children, Adolescents, and Media Violence: A Critical Look at the Research. 2nd ed., Sage, 2006. Last Name, First Name of First Author, and First Name Last Name of Second Author. Title of Book: Subtitle if Any. Edition if given and is not first edition, Publisher Name often shortened, Year of publication. Note:Only the first author listed appears in "Last Name, First Name" format. Authors' names are separated by a comma. Before the last author to be listed, add the word "and." Wykes, Maggie, and Barrie Gunter. The Media and Body Image: If Looks Could Kill. Sage, 2005. Last Name, First Name of First Author, et al. Title of Book: Subtitle if Any. Edition if given and is not first edition, Publisher Name often shortened, Year of publication. Note: If you have three or more authors list only the first author's name followed by et al. instead of listing all authors names. For example Smith, John, et al. The first author is the first name listed on the work you are citing, not the first name alphabetically. Nickels, William, et al. Understanding Canadian Business. 9th ed., McGraw-Hill Ryerson, 2016. Name of Corporate Author. Title of Book: Subtitle if Any. Edition if given and is not first edition, Publisher Name often shortened, Year of Publication. Note: When a work is published by an organization that is also its author, begin the entry with the title, skipping the author element, and list the organization only as publisher. Calgary Educational Partnership Foundation. Employability Skills: Creating My Future. Nelson, 1996. Author's Last Name, First Name. Title of Book: Subtitle if Any. Edition if given and is not first edition, Publisher Name often shortened, Year of publication. Name of Library Database. Waldau, Paul. Animal Rights: What Everyone Needs To Know. Oxford University Press, 2010. eBook Collection (EBSCOhost). Last Name of First Author, First Name, and First Name Last Name of Second Author. Title of Book: Subtitle if Any. Edition if given and is not first edition, Publisher Name often shortened, Year of publication. Name of Library Database. Note: Only the first author listed appears in "Last Name, First Name" format. Authors' names are separated by a comma. Before the last author to be listed, add the word "and." Foster, Lois E., and David Stockley. Multiculturalism: The Changing Australian Paradigm.Multilingual Matters, 1984. eBook Collection (EBSCOhost). Last Name of First Author, et al. Title of Book: Subtitle if Any. Edition if given and is not first edition, Publisher Name often shortened, Year of publication. Name of Library Database. Note: If you have three or more authors you may choose to list only the first author's name followed by et al. instead of listing all authors names. For example Smith, John, et al. The first author is the first name listed on the work you are citing, not the first name alphabetically. Ziarek, Ewa Plonowska, et al. A Time for the Humanities: Futurity and the Limits of Autonomy. Fordham UP, 2008. eBook Collection (EBSCOhost). Author's Last Name, First Name. Title of Book: Subtitle if Any. Edition if given and is not first edition, Publisher Name often shortened, Year of publication, Website Name, URL. Accessed Access Date. Henty, George Alfred. The Cat of Bubastes: A Tale of Ancient Egypt. Blackie and Son, 1889. HathiTrust Digital Library, babel.hathitrust.org/cgi/pt?id=mdp.39015073478847. Accessed 6 July 2016. Author's Last Name, First Name. "Title of Short Story, Essay, or Article." Title of Book: Subtitle if Any, edited by Editor's First Name and Last Name, Edition if given and is not first, Publisher Name often shortened, Year of publication, Page numbers of the essay, article, or short story. Ross, Colin. "The Story of Grey Owl." Fiction/Non-Fiction: A Reader and Rhetoric, edited by Garry Engkent and Lucia Engkent, 2nd ed., Thomson Nelson, 2006, pp. 327-333. Note: The first author's name listed is the author of the chapter/essay/short story. Note: If there is no editor given you may leave out that part of the citation. Last Name of editor, First Name, editor(s). Title of Book: Subtitle if Any. Edition if given and is not first edition, Publisher Name often shortened, Year of Publication. Matuz, Roger, editor. Contemporary Canadian Artists. Gale Canada, 1997. Instructor's Last Name, First Name. "Title of Handouts/Notes." Name of Course, Columbia College. Date notes were received. Course handout. Kurtis, Mark. "Critical Analysis." English 100, Columbia College. Received 5 May 2016. Course handout. Instructor's Last Name, First Name. "Title of PowerPoint Presentation." Date of PowerPoint presentation, Title of Course, Columbia College. Microsoft PowerPoint presentation. Paulson, Paul. "ANTH 110: Week 2: The Nature of Culture." 15 Jan. 2016. Anthropology 110, Columbia College. Microsoft PowerPoint presentation. Note: if you know the slide number, include it in your in-text citation. If not, leave it out. Author's Last Name, First Name. "Title of Entry." Title of Encyclopedia or Dictionary, edited by Editor's First Name Last Name, Edition if given and not first edition, vol. Volume Number, Publisher Name, Date of Publication, pp. First Page - Last Page. Name of Database. Lander, Jesse M. "Shakespeare, William." World Book Student, 2016. World Book. Note: Because the specific page number can't be determined, the page number is left out of the in-text citation. Include a page number after the author's last name if one is given. "Title of Entry." Title of Encyclopedia or Dictionary, edited by Editor's First Name Last Name, Edition if given and not first edition, vol. Volume Number, Publisher Name, Date of Publication, pp. First Page - Last Page. Name of Database. "Racism." Britannica Academic, 2013. Encyclopædia Britannica. Note:This example had no editor's name, edition, volume or page numbers, so these elements were left out of the citation. Note: This entry has no page numbers, so this information is left out of the citation. Note: If a dictionary or encyclopedia entry has no author, the in-text citation should include the first one, two or three words from title of the entry. The words from the title of the entry should be in quotation marks, with each word starting with a capital letter. Note: While MLA 8th edition recommends including URLs, we recommend that URLs be left out when citing a work found in a library database. Because library databases require a login most URLs will stop working after the session ends. If you do not have information such as an editor's name, a volume or page numbers leave those sections out of your citation. Author's Last Name, First Name. "Title of Entry." Title of Encyclopedia or Dictionary, Publication or Update Date, Name of Website. URL. Accessed Day Month Year of Access. McLean, Steve. "The Tragically Hip." The Canadian Encyclopedia, 26 Mar. 2015, Historica Canada. www.thecanadianencyclopedia.com/en/article/the-tragically-hip-emc. Accessed 27 Jun. 2016. Note: In this example the date of last edit is listed as publication or update date. List the full date if given in Day, Month, Year format, abbreviating the month. Date of access is the day the website was visited. Note: This entry has no page numbers so that detail is left out of the citation. "Title of Entry." Title of Encyclopedia or Dictionary, Publication or Update Date, Name of Website. URL. Accessed Day Month Year of Access. "Filibuster." Merriam-Webster's Learners Dictionary, Merriam-Webster. www.merriam-webster.com/dictionary/filibuster. Accessed 27 June 2016. Note: No publication or update date was given so this information was left out of the citation. Note: This entry has no page numbers so this is left out of the citation. Note: If a dictionary or encyclopedia entry has no author, the in-text citation should include the first one, two or three words from title of the entry. The title of the entry should be in quotation marks, with each word starting with a capital letter. "Title of Entry." Wikipedia: The Free Encyclopedia, Wikimedia Foundation, Day Month Year entry was last modified, Time entry was last modified, URL of entry. Accessed Day Month Year Wikipedia entry was last viewed. Note: The date and time the article was last modified appears at the bottom of each Wikipedia article. Wikipedia may not be considered an acceptable source for a college or university assignment. Be sure to evaluate the content carefully and check your assignment. "Body Image." Wikipedia: The Free Encyclopedia, Wikimedia Foundation, 16 June 2016, 7:41 pm, en.wikipedia.org/wiki/Body_image. Accessed 28 June 2016. Author's Last Name, First Name. "Title of Entry." Title of Encyclopedia or Dictionary, edited by Editor's First Name Last Name, Edition if given and not first edition, vol. Volume Number, Publisher Name, Year of Publication, pp. First Page - Last Page. Barber, Russell J. 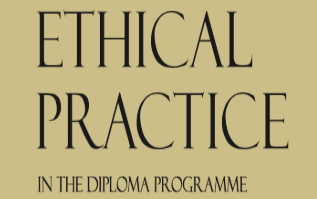 "Anthropological Ethics." Ethics, edited by John K. Roth, Rev. ed., vol. 1, Salem Press, 2005, pp. 67-69. "Title of Entry." Title of Encyclopedia or Dictionary, edited by Editor's First Name Last Name, Edition if given and not first edition, vol. Volume Number, Publisher Name, Year of Publication, pp. First Page - Last Page. Note:This encyclopedia has a compiler listed instead of an editor, the compiler is a company instead of a individual. As no edition or volume were given this information was omitted. UP is used as an abbreviation for University Press. If there is only one page use p. instead of pp. before the page number. Note: If a dictionary or encyclopedia entry has no author, the in-text citation should include the first one, two or three words of the title of the entry. The title of the entry should be in quotation marks, with each word starting with a capital letter. Film citations should always include the following information about the film : title, director, distributor, year of release, and the format or medium on which you watched the film (if you watched the film at a theater or are not sure of the medium - it is ok to just use "film" here. When you list the distributor of the film (which could be the studio or another distributor depending on the version or release of the film you've viewed - make sure that the year you list correctly corresponds. For example, if the original release year of the film is 2010 but you watched a DVD director's cut that was released in 2016, you should put the original release date after the director and the date of the one you watched after the distributor. Your citation could also include the names of the writer, principal performer(s), and producer. Last Name, First Name of video creator or Username of Creator. "Title of Video." Title of the Hosting Website, Day Month Year of Publication, URL of video. Accessed Day Month Year video was viewed. Sethi, Ramit. "How to Write a Winning Resume, With Ramit Sethi." YouTube, 23 June 2015, www.youtube.com/watch?v=_0fjkKCsM1w. Accessed 28 June 2016. Note: Cite the relevant hour, minute and seconds as displayed in your media player. "Title of Video." Publisher/Production Company, Date. Title of Library Database, URL. "Making Movie History: The Women." NFB, 2014. National Film Board of Canada, www.nfb.ca/film/making_movie_history_the_women/. Note: Typically films are cited without an author. Note: Because videos do not have page numbers this information is left out of the in-text citation. Title of Movie. Director's Name. Performers Names. Production Company, Year of Release. Note: If you are writing about a film or television series without focusing on an individual's contribution, begin with the title. You can include information about the director and other key participants in the position of other contributors. Note: Exclude the list of performers if not relevant. The Usual Suspects. Directed by Bryan Singer. Performances by Kevin Spacey, Gabriel Byrne, Chazz Palminteri, Stephen Baldwin, and Benicio Del Toro. Polygram, 1995. Note: The title of the film is in italics in the in-text citation because that is how it appears in the Works Cited List Example. Note: Because DVD's do not have page numbers this information is left out of the in-text citation. "Title of Episode." Title of TV Series. Contributors Name(s), Season, Episode, Production Company, Year of Release. Note: If the episode has many contributors, include the ones most relevant to your project. i.e. if you are writing about an episode that focuses on a key character, you might mention the series creator and the actor who portrays the character. Note: Seasons of a television series are usually numbered in sequence, as are the episodes. Both numbers should be included in the works cited list if available. "The One Where Chandler Can't Cry." Friends, created by Marta Kauffman, performance by Matthew Perry, season 6, episode 14, Warner Brothers, 2004. Note: The title of the episode is in quotation marks in the in-text citation because that is how it appears in the Works Cited List Example. 4. In a 1998 interview, she reiterated this point even more strongly: "I am an artist, not a politician!" (Weller 124). Title of Document: Subtitle if Given. Edition if given and is not first edition, Name of Government Department, Agency or Committee, Publication Date, URL. Accessed Access Date. Highlights from the Competition Bureau’s Workshop on Emerging Competition Issues. Competition Bureau of Canada, 4 Mar. 2016, www.competitionbureau.gc.ca/eic/site/cb-bc.nsf/vwapj/cb-Workshop-Summary-Report-e.pdf/$FILE/cb-Workshop-Summary-Report-e.pdf. Accessed 6 July 2016. Note: You can use a shortened form of the title by listing the first word or words of the full title. Title of Document: Subtitle if Given. Edition if given and is not first edition, Name of Government Department, Agency or Committee, Publication Date. Women in Canada: A Gender-based Statistical Report. 7th ed., Statistics Canada, 2015. Is it a figure or a table? There are two types of material you can insert into your assignment: figures and tables. A figure is a photo, image, map, graph, or chart. A table is a table of information. For a visual example of each, see the figure and table to the right. For more information on citing figures in MLA, see Purdue OWL. Reproducing happens when you copy or recreate a photo, image, chart, graph, or table that is not your original creation. If you reproduce one of these works in your assignment, you must create a note (or "caption") underneath the photo, image, chart, graph, or table to show where you found it. If you do not refer to it anywhere else in your assignment, you do not have to include the citation for this source in a Works Cited list. Fig. X. Description of the figure from: citation for source figure was found in. The caption for a figure begins with a description of the figure, then the complete Works Cited list citation for the source the figure was found in. For example, if it was found on a website, cite the website. If it was in a magazine article, cite the magazine article. Label your figures starting at 1. Information about the figure (the caption) is placed directly below the image in your assignment. If the image appears in your paper the full citation appears underneath the image (as shown below) and does not need to be included in the Works Cited List. If you are referring to an image but not including it in your paper you must provide an in-text citation and include an entry in the Works Cited List. Fig. 1. Man exercising from: Green, Annie. "Yoga: Stretching Out." Sports Digest, 8 May 2006, p. 22. Fig. 2. Annakiki skirt from: Cheung, Pauline. "Short Skirt S/S/ 15 China Womenswear Commercial Update." WGSN. Source: Citation for source table was found in. Above the table, label it beginning at Table 1, and add a description of what information is contained in the table. The caption for a table begins with the word Source, then the complete Works Cited list citation for the source the table was found in. For example, if it was found on a website, cite the website. If it was in a journal article, cite the journal article. Information about the table (the caption) is placed directly below the table in your assignment. 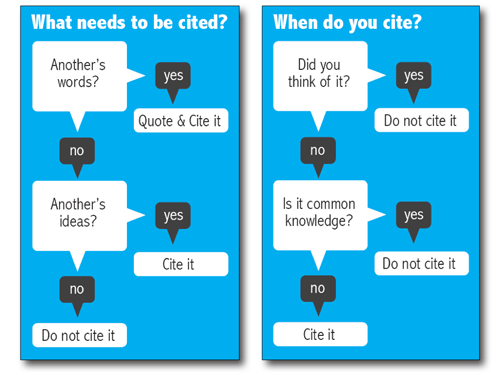 If the table is not cited in the text of your assignment, you do not need to include it in the Works Cited list. Source: Mohr, Andrea. "Family Variables Associated With Peer Victimization." Swiss Journal of Psychology, vol. 65, no. 2, 2006, pp. 107-116, Psychology Collection, doi: http://dx.doi.org/10.1024/1421-0185.65.2.107. If you refer to information from the photo, image, chart, graph, or table but do not reproduce it in your paper, create a citation both in-text and on your Works Cited list. If the information is part of another format, for example a book, magazine article, encyclopedia, etc., cite the work it came from. For example if information came from a table in an article in National Geographic magazine, you would cite the entire magazine article. The word figure should be abbreviated to Fig. Each figure should be assigned a figure number, starting with number 1 for the first figure used in the assignment. E.g., Fig. 1. When you refer to the figure in the document use (figure 1) or "see figure 1"
Images may not have a set title. If this is the case give a description of the image where you would normally put the title. Last Name of Person Who Was Interviewed, First Name. Description of Interview. Day Month Year of interview. Personal Interview. Myers, Elizabeth. The Dangers of Violence in the Media. 12 Mar. 2016. Personal Interview. Myers explained that "media violence is dangerous because it has been eroticized." Last Name of Person Who Was Interviewed, First Name. "Subject Line of Email." Received by Name of Person Who Received Email. Day Month Year of Email. Email Interview. Smith, Paula. "Re: Food and Family." Received by Joseph Tan. 20 May 2016. Email Interview. Note: The words Email Interview are added to the citation to specify that it is an interview. Smith asserted that food builds relationships because of a cultural appreciation inherent in enjoying a meal with family. Last Name of Person Who Was Interviewed, First Name. Description of Interview. Day Month Year of interview. Telephone Interview. Ball, William. Best Practices for the Care of Hospital Patients. 30 Jan. 2016. Telephone Interview. Ball state that "infections are often contracted while patients are recovering in the hospital." Some electronic content like journal articles are assigned a unique number called a Digital Object Identifier (DOI). The DOI gives a way to find an article. If a DOI is provided for a journal article, include it after the page numbers of the article as "doi:doi number". How Can I Tell if Article is from a Journal? Author's Last Name, First Name. "Title of Article: Subtitle if Any." Name of Journal, vol. Volume Number, no. Issue Number, Date of Publication, pp. First Page Number-Last Page Number. Name of Database, doi:DOI number. Guillen, Jorge. "Does Financial Openness Matter in the Relationship Between Financial Development and Income Distribution in Latin America?" Emerging Markets Finance & Trade, vol. 52, no. 5, 2016, pp. 1145-1155. Business Source Complete, doi:10.1080/1540496X.2015.1046337. Author's Last Name, First Name, and Second Author's First Name Last Name. "Title of Article: Subtitle if Any." Name of Journal, vol. Volume Number, no. Issue Number, Date of Publication, pp. First Page Number-Last Page Number. Name of Database, doi:DOI number. Note: Only the first author listed appears in "Last Name, First Name" format. Authors' names are separated by a comma. And the word "and" before the second author's name. Salafia, Elizabeth Blodgett, and Jessica Lemer. "Associations Between Multiple Types of Stress and Disordered Eating Among Girls and Boys in Middle School." Journal of Child and Family Studies, vol. 21, no. 1, 2012, pp.148-57. Academic Search Complete, doi:10.1007/s10826-011-9458-z. Author's Last Name, First Name. "Title of Article: Subtitle if Any." Name of Journal, vol. Volume Number, no. Issue Number, Date of Publication, pp. First Page Number-Last Page Number. Name of Database. Leichty, Toni. "Yes I Worry About My Weight... But for the Most Part I'm Content with My Body: Older Women's Body Dissatisfaction Alongside Contentment." Journal of Women & Aging, vol. 24, no. 1, 2012, pp. 70-88. Academic Search Complete. Note: While MLA 8th edition recommends including URLs, we recommend that URLs be left out when citing a work found in a library database. Because library databases require a login most URLs will stop working after the session ends. If your instructor requires a URL, look for the "Permalink" icon in the article description and place the URL generated after the name of the database. Author's Last Name, First Name, and Second Author's First Name Last Name. "Title of Article: Subtitle if Any." Name of Journal, vol. Volume Number, no. Issue Number, Date of Publication, pp. First Page Number-Last Page Number. Name of Database. Larr, Allison S., and Matthew Neidell. "Pollution and Climate Change." The Future of Children, vol. 26, no. 1, Spring 2016, pp. 93-113. Academic Search Complete. Note: Give as complete a date of publication as given. Because the season for the journal, "Spring" is given this is included as part of the date. Author's Last Name, First Name. "Title of Article: Subtitle if Any." Name of Journal, vol. Volume Number, no. Issue Number, Date of Publication, pp. First Page Number- Last Page Number if Given, URL. Accessed Day Month Year site was visited. Elson, Peter. "A Comparative Analysis of Nonprofit Policy Network Governance in Canada." Canadian Journal of Nonprofit and Social Economy Research, vol. 6, no. 2, 2015, pp. 42-64, anserj.ca/anser/ index.php/cjnser/article/view/201/127. Accessed 27 Jun. 2016. Note: Give as complete a date as is provided. In this example only the year was given. Author's Last Name, First Name, and Second Author's First Name Last Name. "Title of Article: Subtitle if Any." Name of Journal, vol. Volume Number, no. Issue Number, Date of Publication, pp. First Page Number- Last Page Number if Given, URL. Accessed Day Month Year site was visited. Note: Only the first author listed appears in "Last Name, First Name" format. Authors' names are separated by a comma. Put the word ",and" before the second author's name. Sadig, Husam, and Ahmed Banany. "The Impact of Non-Response Weighting: Empirical Evidence From Modelling Residential Mobility." Journal of Social Research & Policy, vol. 5, no. 1, July 2014, pp. 91-99, www.jsrp.ro/site/jrspone/content/JSRP_Vol5_Iss1_Sadig. Accessed 27 Jun. 2016. Note: Give as complete a date as is provided. Both month and year were provided for this journal. Author's Last Name, First Name. "Title of Article: Subtitle if Any." Name of Journal, vol. Volume Number, no. Issue Number, Date of Publication, pp. First Page Number- Last Page Number. Kushkova, Anna. "At the Center of the Table." Russian Studies in History, vol. 50, no.1, 2011, pp. 44-96. Author's Last Name, First Name, and Second Author's First Name Last Name. "Title of Article: Subtitle if Any." Name of Journal, vol. Volume Number, no. Issue Number, Date of Publication, pp. First Page Number- Last Page Number. Note: Only the first author listed appears in "Last Name, First Name" format. Put a comma and the word "and" before the second author's name. Ki, Eyun-Jung, and Linda Childers Hon. "A Measure of Relationship Cultivation Strategies." Journal of Public Relations Research, vol. 21, no. 1, 2009, pp. 1-24. If you have three or more authors cite only the name of the first author listed with their Last Name, First Name Middle Name followed by a comma et al. Example: Smith, James, et al. When citing classic poems and plays, replace page numbers with division numbers (part, book, scene, act). The example below refers to book 10 line 5. Bear in mind the divisions and the way they are written can vary by source. The titles of books in the Bible and other famous literary works should be abbreviated. (New Jerusalem Bible, Gen. 2.6-9). Not Sure if Your Article is from a Magazine? Main purpose is to entertain, sell products or promote a viewpoint. Appeal to the general public. Often have many photos and illustrations, as well as many advertisements. Author may or may not have subject expertise. Name and credentials of authors often NOT provided. Main purpose is to update and inform readers on current trends in a specific industry or trade. May have photos and numerous advertisements, but still assume that readers understand specific jargon of the profession. Usually published by an association. Authors are professionals working in the specific industry or trade. Author's Last Name, First Name. "Title of Article: Subtitle if Any." Title of Magazine, vol. Volume Number, no. Issue Number, Date of Publication, pp. page numbers. Name of Database. Weinstein, Becca. "Trying Before Buying." Psychology Today, vol. 45, no. 3, May-June 2012, pp. 46-47. CINAHL Complete. Note: While MLA 8th edition recommends including URLs, we recommends that URLs be left out when citing a work found in a library database. Because library databases require a login most URLs will stop working after the session ends. If your instructor requires a URL, look for the "Permalink" icon in the article description and place the URL generated after the name of the database. Author's Last Name, First Name, and Second Author's First Name Last Name, and Third Author's First Name Last Name. "Title of Article: Subtitle if Any." Title of Magazine, vol. Volume Number, no. Issue Number, Date of Publication, pp. Page numbers. Name of Database. Jefferson, David J., and Temma Ehrenfeld. "The Divorce Generation Grows Up." Newsweek, vol. 151, no. 16, 21 Apr. 2008, p. 46. MAS Ultra. "Title of Article: Subtitle if Any." Title of Magazine, vol. Volume Number, no. Issue Number, Date of Publication, pp. Page numbers. Name of Database. Note: If the author is unknown, begin the citation with the title of the article. "Convenience Store Shopping Behavior: Packaged Beverages." Convenience Store News, vol. 36, no. 15, 18 Dec. 2000, p. 113. Business Source Complete. Note: This magazine article doesn't list an author, so the first word or words of the title are included in the in-text citation in quotation marks. Author's Last Name, First Name. "Title of Article: Subtitle if Any. "Title of Magazine, Date of publication, URL. Accessed access date. Cosh, Kolby. "Tiny Human Brains Threaten Giant Dinosaur Bones in Alberta." Maclean's, 25 July 2012, www.macleans.ca/news/canada/a-blight-at-the-museum. Accessed 13 June 2016. Author's Last Name, First Name. "Title of Article: Subtitle if Any." Title of Magazine, vol. Volume Number, no. Issue Number, Date of Publication, pp. Page numbers. Campbell, Meagan. "'One Snap, One Frame': A Life in Pictures." Maclean's, vol. 129, no. 26, 04 July 2016, pp. 47-51. Author's Last Name, First Name, and Second Author's First Name Last Name. "Title of Article: Subtitle if Any." Title of Magazine, vol. Volume Number, no. Issue Number, Date of Publication, pp. Page numbers. Ainsworth-Vincze, Cameron, and Josh Dehass. "Where Do I Belong?" Maclean's, vol. 123, no. 45, 22 Nov. 2010, pp. 58-59. "Title of Article: Subtitle if Any." Title of Magazine, vol. Volume Number, no. Issue Number, Date of Publication, pp. Page numbers. "When Eating Breakfast, Make it a Big One." Maclean's, vol. 121, no. 26/27, 7 July 2008, p. 63. How Can I Tell if It's a Newspaper? Main purpose is to provide readers with a brief account of current events locally, nationally or internationally. Can be published daily, semiweekly or weekly. Articles are usually written by journalists who may or may not have subject expertise. Written for the general public, readers don't need any previous subject knowledge. Little, if any, information about other sources is provided. Author's Last Name, First Name. "Title of Article: Subtitle if Any." Name of Newspaper [city of newspaper if local paper with city name not in name], Date of Publication, p. Page number if given. Name of Database. Note: If the author's name is not listed, begin the citation with the title of the article. Schmidt, Sarah. "Companies Fail the Test; Junk Food Marketing Aimed at Kids Faulted." The Gazette [Montreal], 10 Mar. 2010, p. A.11. Canadian Newsstand. Note: If an article ends with a question mark or exclamation mark (! ), you do not need to add a period to mark the end of the title. Note: If an article is only one page long, you do not need to provide the page number in the in-text citation. Note: If there is no author listed, the in-text citation would include the first word or words of the title of the article in quotation marks, e.g. ("Companies"). Author's Last Name, First Name. "Title of Article: Subtitle if Any." Name of Newspaper [city of newspaper if local paper with city name not in name], vol. Volume Number, no. Issues Number, Date of Publication, p. Page number if given. Name of Database. Crawford, Maxine. "Research in a Celtic Nation." Psynopsis: Canada's Psychology Newspaper, vol. 39, no. 3, Summer 2017, p. 32. Canadian Points of View Reference Centre. Note: You do not need to add the city of publication to the name of a nationally published newspaper. Author's Last Name, First Name. "Title of Article: Subtitle if Any." Title of website, Name of Newspaper, Date of Publication, URL. Accessed access date. Morrison, Malcolm. "TSX Recovers on Greece News." thestar.com, Toronto Star, 23 June 2011, www.thestar.com/business/economy/2011/06/23/tsx_recovers_on_greece_news.html. Accessed 7 June 2016. Note: If there is no author listed, the in-text citation would include the first word or words of the title of the article in quotation marks, e.g. ("TSX Recovers"). Author's Last Name, First Name. "Title of Article: Subtitle if Any." Name of Newspaper, Date of Publication, p. Page number. Smith, Bill. "Talks on Bosnia Bog Down Over Borders." Toronto Star, 18 Aug. 2012, p. B6. Note: If there is no author listed, the in-text citation would include the first word or words of the title of the article in quotation marks, e.g. ("Talks"). For all content found on the Web, you must list the date you first viewed the resource. This comes last in a citation. An author can be a person but can also be an organization, or company. These are called group or corporate authors. If the name of the city in which the newspaper is published is not evident from the title of the newspaper then provide the city in square brackets after the title of the newspaper. E.g., When citing the Toronto Star, it is evident that the newspaper is published in Toronto. However, if citing The Gazette, it is not evident from the title that it is published in Montreal, so include [Montreal] after writing The Gazette. The name of the database will usually apear at the top of the search screen. Note that ProQuest and EBSCOhost are NOT database names, they are database providers. The name of the database will appear separately. If you have used the function to search multiple databases at once and therefore do not know the individual database name, enter the name of the database provider (e.g. ProQuest) as the database. The format of all dates is: Date Month (shortened) Year. E.g. 5 Sept. 2012. If no date is listed, write n.d. If no page number is listed, write n. pag. in the Works Cited list. If the entire article is only one page, do not include a page number in the in-text citation. Capitalize the first letter of every important word in the title. You do not need to capitalize words such as: in, of, or an. If there is a colon (:) in the title, include what comes after the colon (also known as the subtitle). A username can be provided in place of a real name. If both username and real name are provided, put the user name first with the real name following in brackets. Creator information may often be found under a section called "About" for some types of social media, however this is not always standard. If no date is given, leave that information out of the citation. Author's Last Name, First Name or Username if real name not provided. "Title of Blog Post." Name of Blog, Blog Network/Publisher if given, Day Month Year of blog post, URL of blog post. Accessed Day Month Year blog was visited. Naish, Darren. "If Bigfoot Were Real." Tetrapod Zoology, Scientific American Blogs, 27 June 2016, blogs.scientificamerican.com/tetrapod-zoology/if-bigfoot-were-real/. Accessed 28 June 2016. Note: Blog posts have no page numbers, paragraph numbers or section headings so this information is left out of the in-text citation. Host's Last Name, First Name. "Title of Podcast Episode." Title of Overall Podcast, Episode Number if Given, Web Site Hosting If Different From Podcast Title, Day Month Year of Episode, URL of episode. Accessed Day Month Year podcast was downloaded/played. Orton, Tyler, and Patrick Blennerhassett. "Lessons From the Brexit." BIV Podcast, Episode 18, Business Vancouver, 28 June 2016, www.biv.com/article/2016/6/biv-podcast-episode-18-lessons-brexit/. Accessed 2 July 2016. Note: Because podcasts do not have page numbers this information is left out of the in-text citation. Note: Because videos do not have page numbers, paragraph numbers or section headings, this information is left out of the in-text citation. Twitter Handle (First Name Last Name if Known). "The entire tweet word-for-word." Twitter, Day Month Year of Tweet, Time of Tweet, URL. @ReallyVirtual (Sohaib Athar). "Helicopter hovering above Abbottad at 1AM is a rare event." Twitter, 4 Jan. 2013, 3:58 p.m. twitter.com/reallyvirtual/status/64780730286358528?lang=en. Note: Write out the actual Tweet in the citation and keep spelling and grammar the same as in the original, even if there are errors.When quoting the Tweet, beside grammatical and spelling errors in the original Tweet, write [sic] in square brackets to indicate the errors are not your own. E.g., if the Tweet was "It isn't you're fault the media is violent", write: "It isn't you're [sic] fault the media is violent." Wikipedia may not be considered an acceptable source for a high school, college or university assignment. Be sure to evaluate the content carefully and check your assignment. Note: If a dictionary or encyclopedia entry has no author, the in-text citation should include the title of the entry. The title of the entry should be in quotation marks, with each word starting with a capital letter. Author Last Name, First Name or Account Name. Description of Post. Facebook, Day Month Year of Post, Time of Post, URL. Accessed Day Month Year post was viewed. Note: As Facebook posts can be lengthy, describe the post instead of reposting its content. To find the time of a Facebook post, hover your mouse next to the date of the post over the clock icon. It may not be possible to link directly to the specific post itself. Author Last Name, First Name. "Title of Document: Subtitle if Any." Title of Report or Agency or Office, Date of publication, URL. Access Date. Drolet, Marie. "Gender Differences in the Financial Knowledge of Canadians." Statistics Canada, 28 Apr. 2016, www.statcan.gc.ca/pub/75-006-x/2016001/article/14464-eng.htm. Accessed 16 June 2016. Author Last Name, First Name. Title of Document: Subtitle if Any. Title of Report or Agency or Office, Date of publication. Langlet, Eric. Aboriginal Children's Survey, 2006: Concepts and Methods Guide. Statistics Canada, 18 Nov. 2008. It can sometimes be difficult to find out who the author of a website is. Remember that an author can be a corporation or group, not only a specific person. Author information can sometimes be found under an "About" section on a website. If there is no author or authority, be skeptical. If there is no known author, start the citation with the title of the website instead. The best date to use for a website is the date that the content was last updated. Otherwise look for a copyright or original publication date. Unfortunately this information may not be provided or may be hard to find. Often date information is put on the bottom of the pages of a website. If you do not know the complete date, put as much information as you can find. For example you may have a year but no month or day. Be wary if there is no date! Date of access is now optional in MLA 8th edition. If no publication date is included, we recommend including the date you last accessed the site. Name of Corporation/Group/Organization. "Title of Section." Title of Website, Publisher or Sponsoring Organization, Date of publication or last modified date, URL. Accessed access date. Note: Date of access is now optional in MLA 8th edition. If no publication date is included, we recommend including the date you last accessed the site. Note: The publisher or sponsoring organization can often be found in a copyright notice at the bottom of the home page or on a page that gives information about the site. When the page is authored and published by the same corporation/group/organization, begin your citation with the section title. "Audit and Assurance." Chartered Professional Accountants Canada, 2016, www.cpacanada.ca/en/business-and-accounting-resources/audit-and-assurance. Accessed 6 July 2016. Author's Last Name, First Name. Title of Website, Name of Organization Affiliated with the Website, Date of copyright or date last modified/updated, URL. Accessed access date. Note: This is when you are citing the entire website--not a specific page on the website. Mabillard, Amanda. Shakespeare Online, 29 Dec. 2011, www.shakespeare-online.com. Accessed 6 July 2016. Author's Last Name, First Name. "Title of Page or Document." Title of Website, Name of Organization Affiliated with the Website, Date of copyright or date last modified/updated, URL. Accessed access date. Note: Be careful to invesitgate the author--why are they an expert on your topic? Poncelet, Barbara. "Mom Am I Fat? : Helping Your Teen Have a Positive Body Image." Verywell.com, About Inc., 20 Apr. 2016, www.verywell.com/mom-am-i-fat-3200843. Accessed 7 July 2016. "Title of Page or Document." Title of Website, Name of Organization Affiliated with the Website, Date of copyright or date last modified/updated, URL. Accessed access date. "How to Teach Yourself Guitar." eHow, Demand Media, www.ehow.com/how_5298173_teach-yourself-guitar.html. Accessed 24 June 2016. Note: The above example has no copyright/last updated date. The date of access is crucial if the source has no date specifying when it was produced or published. Note: There is no author, so the title (or an abbreviated version of the title) is used in the in-text citation, in quotation marks, as it appears in the Works Cited List Example above. Note: If there is no author, be skeptical. Wikipedia may not be considered an acceptable source for a high school, college or university assignment. Be sure to evaluate the content carefully and check your assignment. Make sure to check the Wikipedia "grade." Include, in the introduction, a sentence explaining that “the translations from Thai into English are the candidate's." The reference for a translated source begins with the original author/editor and includes the translator’s name in parenthesis following the title, or you as the candidate who translated, while the original publication information concludes the reference. For example, if there are a few sources from Thai that you translated yourself, in the bibliography for each source add (candidate translation) after the title of the article. Your in-text citation would be the original source as it appears in your bibliography. Or, instead of an in-text citation you may use quotation marks around translated passages and add a footnote with the Thai text, adding (candidate translation) and the full source citation from your bibliography. If no author or creator is provided, start the citation with the title/name of the item you are citing instead. Note: an author/creator won't necessarily be a person's name. It may be an organization or corporation, for example Health Canada or a username on a site such a YouTube or a Twitter handle. If and only if an item is signed as being created by Anonymous, use "Anonymous" where you'd normally put the author's name. When putting works in alphabetical order, ignore initial articles such as "the", "a", or "an". For example the title The Best of Canada would be alphabetized as if it started with the word Best instead of the word The. If the title begins with a number, alphabetize it as if the number was spelled out. For example the title 5 Ways to Succeed in Business would be alphabetized under F as if it had started with the word Five . If no date is provided, skip that information. It's recommended that you add the date you accessed the work at the end of the citation. Access date is given by putting the word "Accessed" followed by the Day Month (Shortened) Year the work was accessed/viewed. For example Accessed 20 Aug 2016. Page numbers may not be provided for some items, such as online materials. If this is the case leave the page numbers out of the citation. Spell out months fully in the body of your paper. For your Works Cited list, all citations should be double spaced and have a hanging indent. should be indented by 0.5 inches. All images, charts, graphs should be on the flush left margin, not centered. How your paper should "look"
The writing excerpt below uses in-text citations to point to information sources taken from the bibliography below. Colors are used to illustrate different sources. Americans in 1976 consumed an average of 91.5 pounds of beef per year; today that figure is down to 54 pounds (Kunzig). The UK is about the same, with an average per person consumption of 56 pounds of red and processed meat annually ("The Great Meat Debate"). The health danger with eating red meat comes from the high levels of saturated fat. Vegetarians may feel virtuous, but they should realize that cheese has higher levels of saturated fat than hamburgers (Smith 54). There are vigorous debates in the scientific community about how much red meat is bad for your health, but all seem to agree that processed meat (bacon, ham, salami, etc.) is definitely worse than unprocessed ("The Great Meat Debate"). Corporation, 17 July 2014, <www.bbc.com/news/health-285e6706>. <www.nationalgeographic.com/foodfeatures/meat/>. Accessed 21 Oct. 2014. Place the parenthetical citation where there is a pause in the sentence - normally before the end of a sentence or a comma. A period comes at the end of each citation. (Smith, Johnson and Garcia 56). (Johnson 12; Lee 20; Williams 15). How do I cite when paraphrasing? How do I add my own words to explain a quote? Do I need to cite after each sentence in a paragraph? Quoting and Paraphrasing: What's the Difference? (2) upon the source’s entry on the Works Cited (bibliography) page. Any source information that you provide in-text must correspond to the source information on the Works Cited page. More specifically, whatever signal word or phrase you provide to your readers in the text, must be the first thing that appears on the left-hand margin of the corresponding entry in the Works Cited List. Russell, Tony, et al. "MLA In-Text Citations: The Basics." Purdue Online Writing Lab (OWL). Ed. The Writing Lab. Purdue University, 6 Mar. 2014. Web. 14 Nov. 2015. When you write information or ideas from a source in your own words, cite the source by adding an in-text citation at the end of the paraphrased portion. Mother-infant attachment became a leading topic of developmental research following the publication of John Bowlby's studies (Hunt 65). Mother-infant attachment became a leading topic of developmental research following the publication of John Bowlby's studies (Hunt 50, 55, 65-71). How do I add my own words to explain or leave out parts of a long quotation? If you add a word or words in a quotation, you should put brackets around the words to indicate that they are not part of the original text. Jan Harold Brunvand, in an essay on urban legends, states, "some individuals [who retell urban legends] make a point of learning every rumor or tale" (78). How do I leave out parts of a long quotation? In an essay on urban legends, Jan Harold Brunvand notes that "some individuals make a point of learning every recent rumor or tale . . . and in a short time a lively exchange of details occurs" (78). How do I cite long quotations? The line before your long quotation, when you're introducing the quote, usually ends with a colon. The long quotation is indented half an inch from the rest of the text, so it looks like a block of text. There are no quotation marks around the quotation. The period at the end of the quotation comes before your in-text citation as opposed to after, as it does with regular quotations. If you're using information from a single source more than once in succession (i.e., no other sources referred to in between), you can use a simplified in-text citation. Cell biology is an area of science that focuses on the structure and function of cells (Smith 15). It revolves around the idea that the cell is a "fundamental unit of life" (17). Many important scientists have contributed to the evolution of cell biology. Mattias Jakob Schleiden and Theodor Schwann, for example, were scientists who formulated cell theory in 1838 (20). Note: If using this simplified in-text citation creates ambiguity regarding the source being referred to, use the full in-text citation format. There are two ways to integrate others' research into your assignment: you can paraphrase or you can quote. Paraphrasing is used to show that you understand what the author wrote. You must reword the passage, expressing the ideas in your own words, and not just change a few words here and there. Make sure to also include an in-text citation. Quoting is copying a selection from someone else's work, phrasing it exactly it was originally written. When quoting place quotation marks (" ") around the selected passage to show where the quote begins and where it ends. Make sure to include an in-text citation.